Diesel is a 3 year old pit bull that was hit by a hit and run driver Wednesday September 25th. He has bad road rash and brain and organ bleeding and he desperately needs surgery and medicine or there is a strong chance he won’t make it. 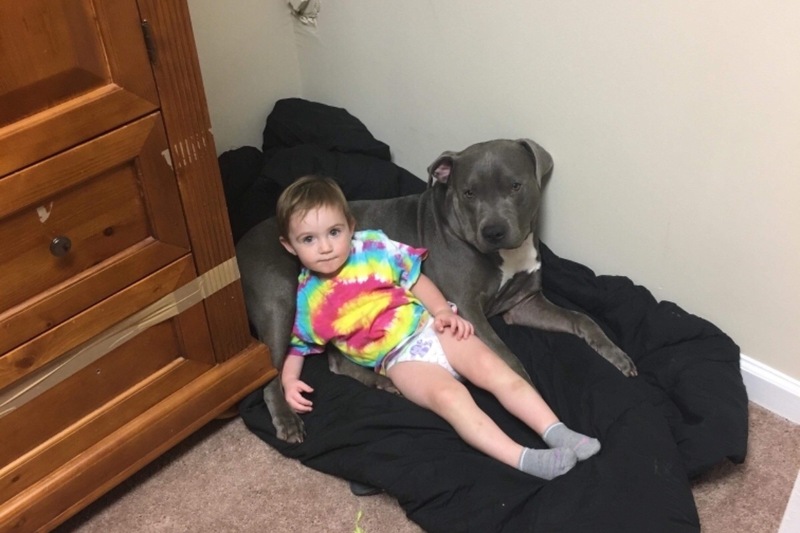 Adalyn was 2 months old when Diesel came into her life as a new addition to the family, and over the past 2 and a half years have developed an unbreakable bond between them. They are truly best friends. The vet bill SO FAR is $2,600 and is certain to go up. Unfortunately the family was denied care credit and the vet won’t do anything without some payment. this family needs your help, Adalyn needs her best friend, and Diesel needs us!!! diesel is at North metro Emergency Animal Clinic in Covington ga. If you’re not comfortable making a donation through a gofundme page, but would like to donate, feel free to make a payment directly to the animal hospital where Diesel is at and be sure the payment goes towards his medical expenses. Diesel is doing a lot better. He is at home with my dad and step mom who is taking absolutely wonderful care of him. He is still super sore and beat up his leg is messed up but we will be taking him to the vet in a few weeks when he comes home to see if it needs to be casted or surgery. Thank you everyone who has helped me pay his vet bill. My baby girl is more than ready to have her baby back home with her to cuddle.